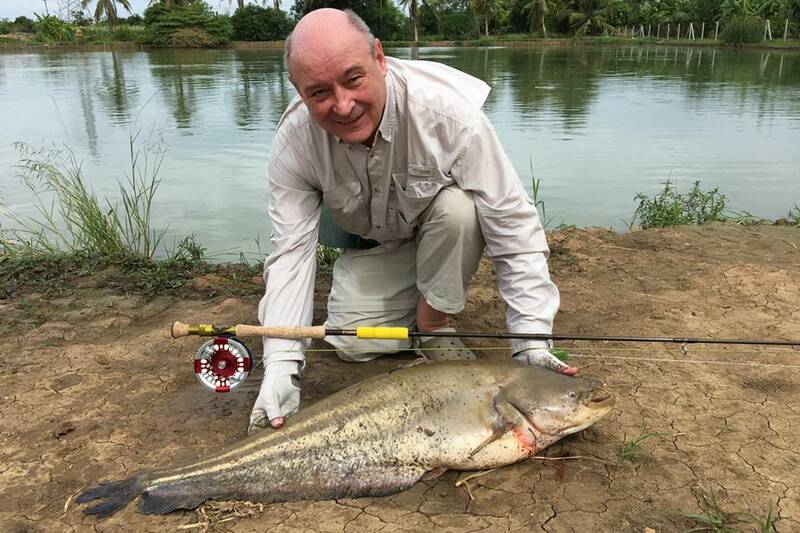 For those who are into fly fishing, here is a very rare catch, a lovely wallago leeri taken on July 1 by John Mitchell (Englishman living in Hong Kong), at the Kampaeng Sen lake . That is quite a fantastic achievement. Wallago are very difficult to catch on lure, so capturing one on the fly is an huge accomplishment.On top of that catch of a lifetime, John and his partner Selina, had several arapaima, redtail, and alligator gar during the three days Thailand fishing trip.